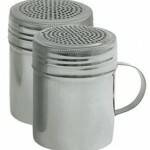 Kitchen Essentials don’t have to be expensive. I asked our very own expert, Chef Jeff, to give me a list of kitchen gear that all chefs – both professional and home – will use on a regular basis. You won’t find anything here that requires a major investment, just reliable tools for real chefs who cook on a daily basis. Ever pop a loaf of garlic bread in the oven and completely forget about it until you hear the smoke alarm going off? It’s okay, we’ve all been there. 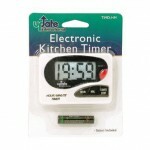 Keep the burning to a minimum with an electric kitchen timer. 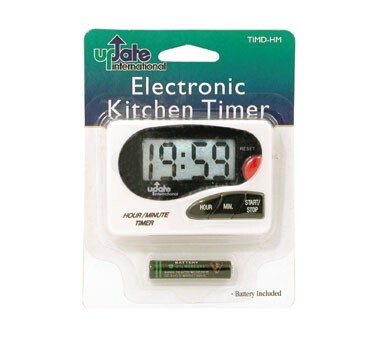 This Update International timer, available at Burkett, has an easy to read display, a loud alarm, and a magnetic clip for easy mounting. What more could you need? 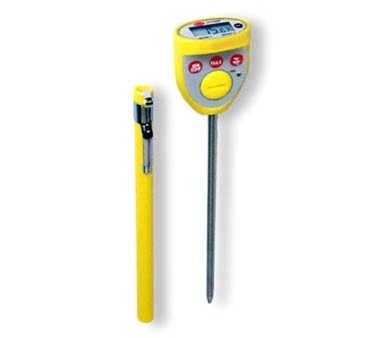 A good instant-read thermometer is the only way to ensure that your food come out at the perfect temperature, the perfect amount of doneness, every time. Relying on accurate timing or, even worse, cutting and peeking, isn’t worth ruining a perfect steak. 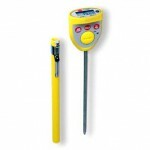 Go ahead and buy a high-quality, fast, digital thermometer and never have a piece of undercooked meat again. This digital pocket thermometer from Burkett is money well-spent. It’s waterproof, field calibration ready, and has a thin tapered tip for precision accuracy. 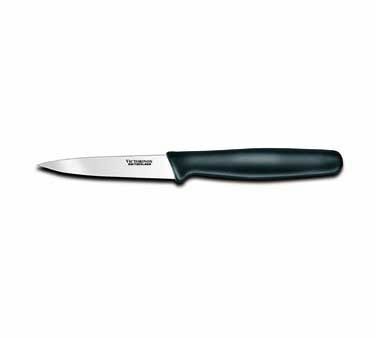 Let’s be honest, all of you professional chefs out there are probably saying, “What about a chef’s knife? !”, and you’ve got a point. However I have a feeling you’ll come around to the convenience of a paring knife for small, everyday tasks like cutting off a bit of butter, taking the rink off some citrus fruit, or slicking up garlic. 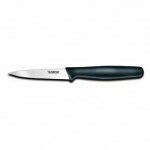 This 3” Forschner paring knife has a large handle for bigger hands and is built to last. 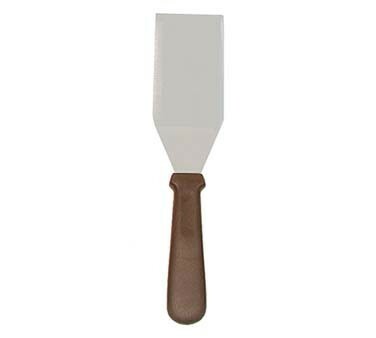 A bench scraper doesn’t seem like an obvious choice for the kitchen essentials list, but that’s because you’re not using it regularly. Just wait; it will become one of your favorite tools. Keep one next to your cutting boards. 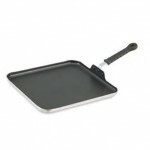 It quickly transfers chopped veggies into your pots and pans and scraps into the garbage. 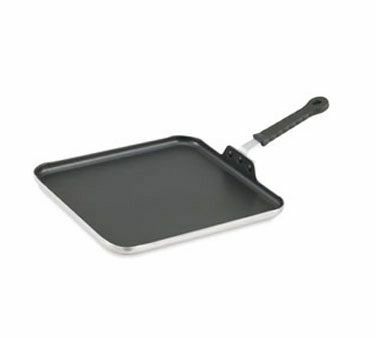 It has a variety of other uses, including cutting pizza dough, ground beef, and releasing those tiny bits of dried dough from your work surface. 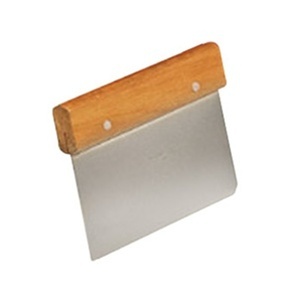 This bench scraper makes picking up tiny bits of chopped herbs a breeze. 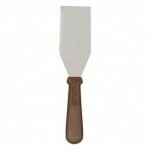 With its comfortable wood handle and sturdy construction, you’ll wonder how you ever operated without it. 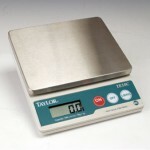 You might already know, from this blog post, that I’m a big fan of kitchen scales. Seriously, they take the guess work out of baking. 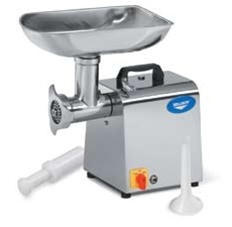 The inaccuracies involved in scooping a single cup of flour (up to 25%, seriously) will send you running to the stores for a kitchen scale this instant. 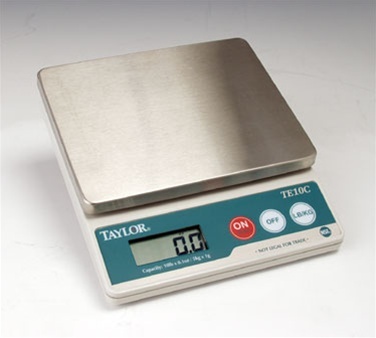 A good digital kitchen scale will make baking with weight measurements a pleasure, it will also help you determine how much moister your chicken lost during roasting, or exactly how far you’ve reduced that stock. Important things to look for when shopping: Up to a 8lb capacity, a zero-out (tare) function, easy to read display, and a flat design for storage. Do yourself a favor, buy everyone you know a real pepper mill and save yourself, and your loved ones, from ever consuming ground pepper again. This Tablecraft Mahogany Pepper Mill is much better than the plastic disposable type, and it’s an investment that will improve almost every savory food you cook. This might be my favorite tool. 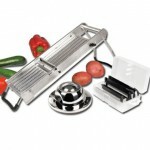 A mandoline makes short work of all your slicing and julienning tasks. You’ll be surprised to find that most mandolines in your typical home goods stores are quite pricey. This Stainless Steel Mandoline from Burkett Restaurant Equipment is only $52.95. It slices a variety of foods and is constructed to last forever. 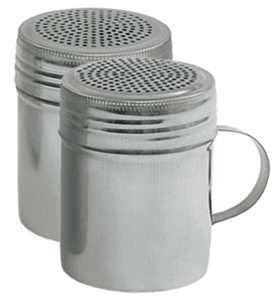 Walk into any restaurant and you’ll see one or two of these babies. Forget the fancy designs and heavy lifting with fancy glass mixing bowls. Professional chefs know, metal mixing bowls are lighter, take up less space and last longer. 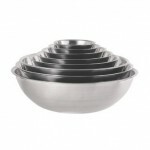 With metal mixing bowls, you won’t have to worry about chips from your glass or ceramic mixing bowls landing in your batter, and most modern microwaves can handle metal these days. Bonus! You’ll find the metal bowls are cheaper at restaurant supply stores, like Burkett Restaurant Equipment, than anywhere else. 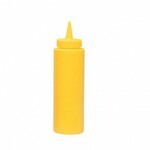 We offer a variety of sizes to choose from to suit all of your needs. Cyber Week is here! If you missed our deals on Black Friday and Cyber Monday, don’t sweat it! We’re extending our extraordinary savings for the rest of the week. 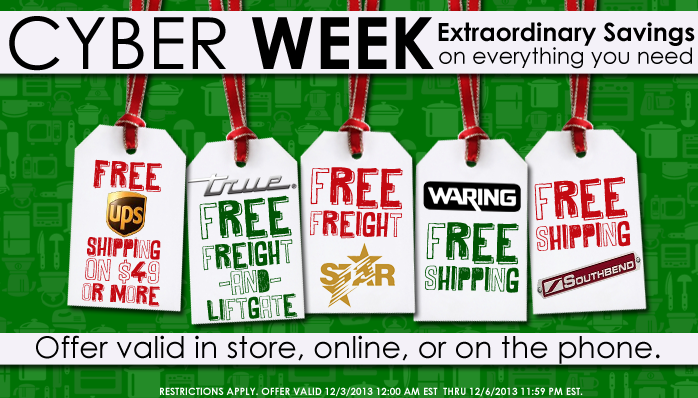 Shop now via phone, online or in store and get FREE SHIPPING on qualifying orders!